Does your horse have Insulin Resistance (IR), Cushing’s disease, EMS, PSSM, problems with being overweight or other risks of developing laminitis? Do you need an easy way to medicate your horse? Delicious, low Sugar, low starch BEET-E-BITES horse treats were developed with the needs of Cushing’s, Insulin Resistant, EMS, EPSM, and other carbohydrate sensitive horses in mind. They are ideal to treat ALL horses! If you prefer NOT to feed your horse excess amounts of sugar and grain products, and are concerned about what is in your horse treats, these low sugar, low starch treats are the perfect choice for you! Equipockets pill pouches make medication time “treat” time, and are a wonderful soft-moist treat for seniors as well. 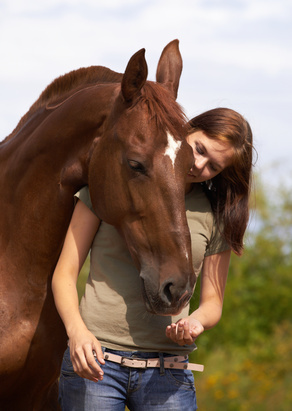 BEET-E-BITES Horse treats and Equipocket pill pouches are THE number one approved products by the Equine Cushing’s and Insulin Resistant Group(ECIR). Find us on their website at https://www.ecirhorse.org/. For more information on these metabolic disease’s, and to receive discount coupons please subscribe to our newsletter in the box to the right. We do not promote our treats as a substantial part of your horses nutrition as other companies do. Our treats and pill pouches are made with ingredients that are “fiber” first, which is they way your horse was meant to be fed. These treats will not upset the balanced nutrition you provide your horse, and contain organic ground flax seed, full of important Omega 3 fatty acids. We believe that a treat is just that, a treat, and we provide a safe, delicious way to say thank you to your equine partner. These low sugar, low starch horse treats are made from the finest ingredients and contain NO added sugar, molasses, oats, corn, artificial colors or preservatives. They contain no herbs that would produce a positive drug test for any discipline or any type of competition. They are tested by Equi-Analytical Labs and are 3.3% ESC (Simple sugars) and 4.9% Starch for a total value @ 8.2%. Recommendations for carbohydrate sensitive horses are 10% and under. The best part of a BEET-E-BITE horse treat is the flavor! Horses have been going crazy for the taste, and even the most picky horses think they are yummy! All horses love to be treated, and now even horses who are sensitive can enjoy a safe low sugar, low carb treat! 12 oz bags contain approximately 50 cookies and come in four great flavors: Peppermint, Apple, Carrot and Licorice! As they are all hand cut, they may have very slight variations in size. Save over $12.00 on treats with the 3 lb bag! Our best value, you receive almost one 12 oz bag for free! Equipockets pill pouches are the perfect way to medicate your horses, and are ideal for administering Prascend (pergolide) tablets. These delicious soft-moist treats make giving small tablet medications an enjoyable part of your horse’s day. They come in two yummy flavors, Peppermint and Apple! We take your privacy seriously. We do not collect or store information about you. Your credit cards are processed at a secure 3rd party processor. Credit card information is not stored. Our site itself is also secure(see URL, https). When you sign up for our newsletter we save your e-mail for the sole purpose of sending the newsletter, and no other purpose. We work very hard to provide you and your horses, a delicious and tested treat experience. Feel free to contact us with any questions, and again we love to hear from our customers!